The GLXD24/SM58 Wireless Vocal System with SM58, an industry-standard, highly versatile cardioid dynamic vocal microphone, tailored to deliver warm and clear vocal reproduction combines automatic frequency management with true digital diversity for a rock-solid wireless signal with exceptional digital audio clarity. 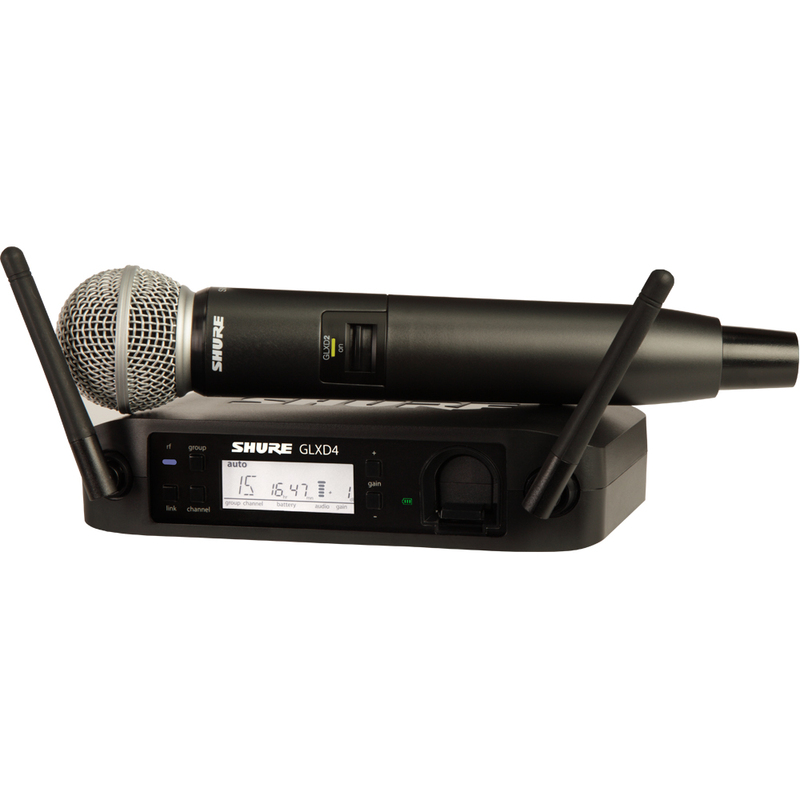 The Digital Wireless Receiver combines automatic frequency management with true digital diversity for a rock-solid wireless signal with exceptional digital audio clarity. Shure proprietary Lithium-Ion rechargeable batteries provide up to 16 hours of continuous use. The SM58 with GLXD2 handheld transmitter is the industry standard microphone tailored to deliver warm and clear vocal reproduction. It combines automatic frequency management with true digital diversity for a rock-solid wireless signal with exceptional digital audio clarity. Shure proprietary Lithium-Ion rechargeable batteries provide up to 16 hours of continuous use. Depending on the operation mode, you will get up to 16 hours of continuous use and has an operating range of 60m.